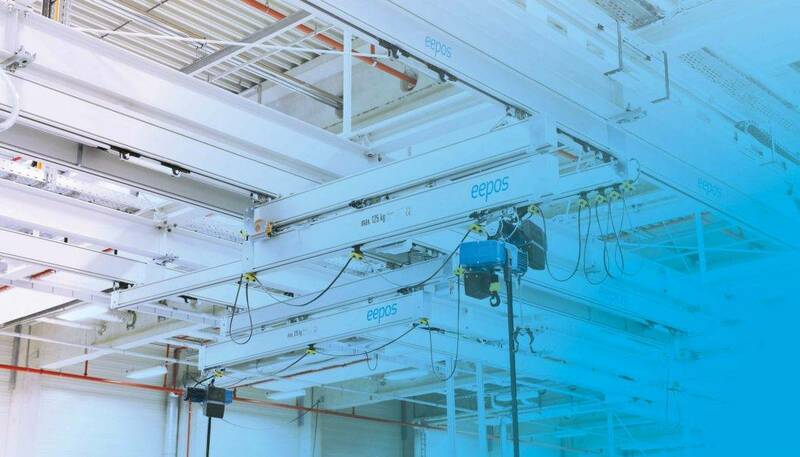 eepos relies on the advantages of a modular system right from the start. 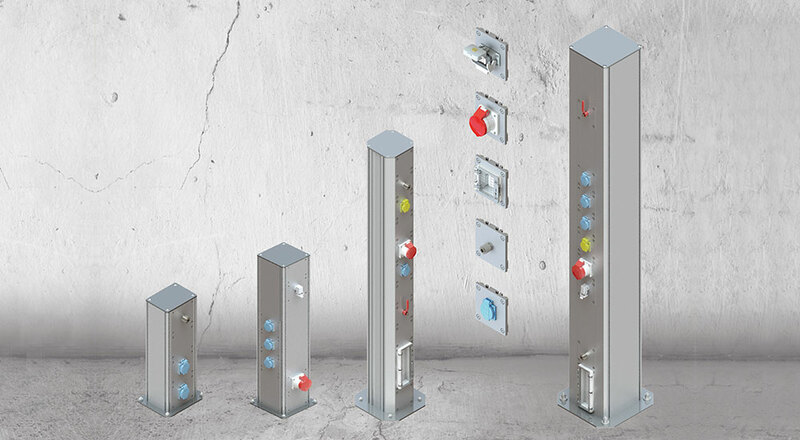 Our intelligent modular system enables a wide range of services and efficient solutions. 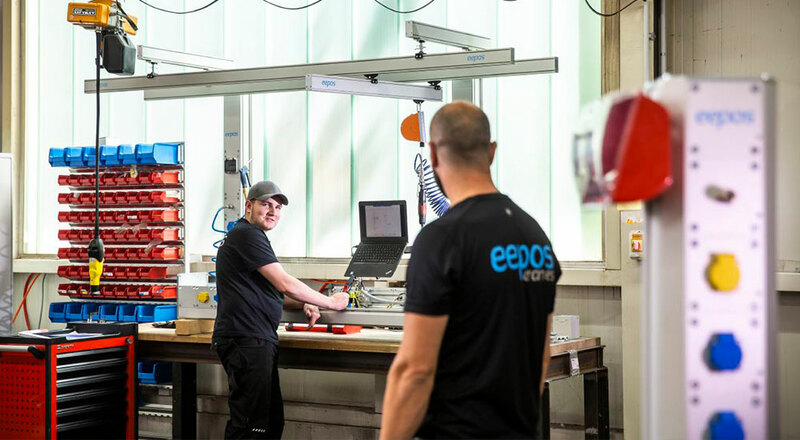 All eepos products are compatible with each other and complement each other so that extremely flexible tailor-made solutions can be implemented. 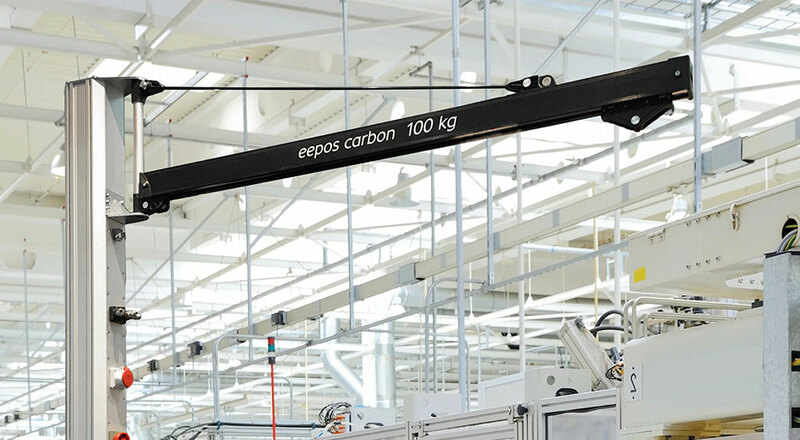 Combine our light crane system eepos one with the lifting axle eepos move, hoists of your choice or our travelling power supply eepos base. Our light crane systems can be fixed to the ceiling or from the floor. 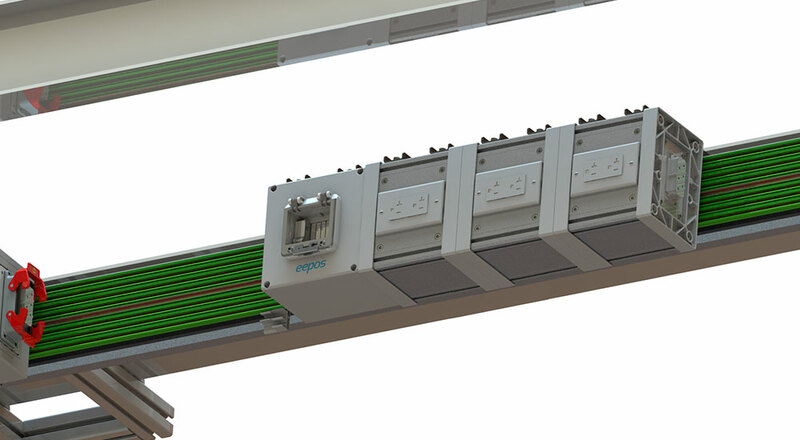 Our energy supply system eepos base can also be installed on the ceiling or on the floor, depending on the individual conditions. 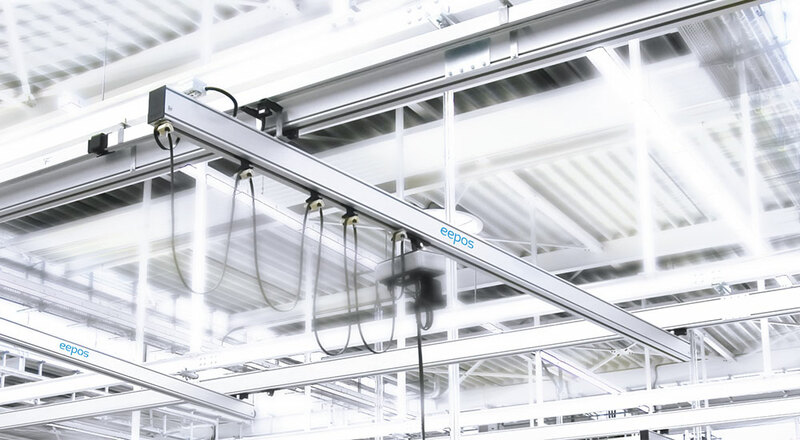 If a mounting on the ceiling is not possible, eepos nano can also be easily mounted on eepos base media columns. This can be the ideal solution for packing tables or other work tables. 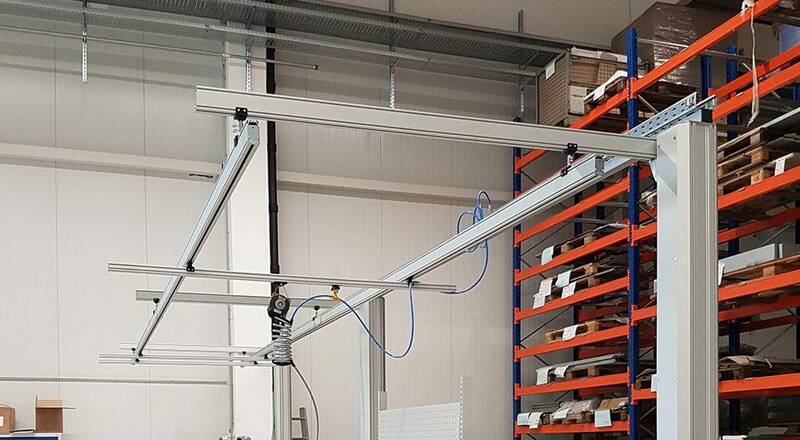 The Schmidt + Clemens group of companies uses the eepos move L lifting axis to test the quality of its welded joints with X-rays in its test laboratory. Together with eepos, a solution was developed that serves as the basis for a standardized testing environment. 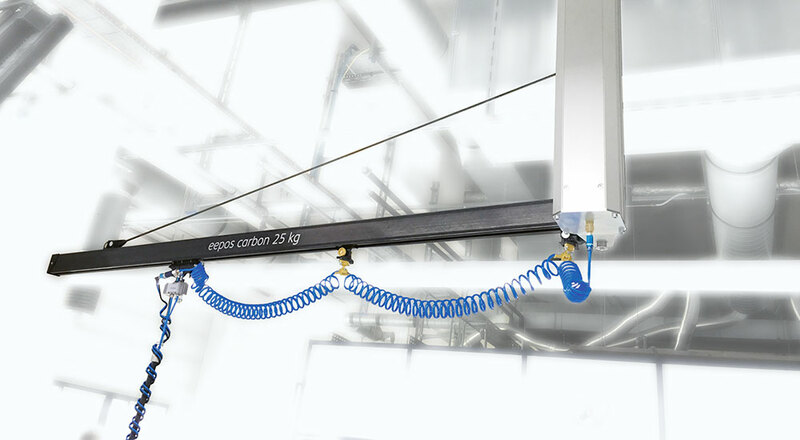 The ceiling mounting of the carbon slewing jib cranes with pneumatic muscle allows unhindered floor-mounted material transport. Compressed air is supplied from above. 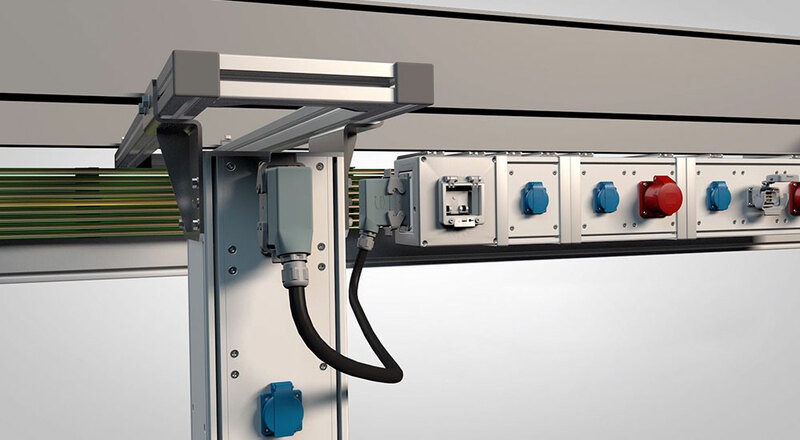 If a stationary and modular power supply is required on the upper chord of an aluminium profile, the eepos powertrack is the innovative and flexible solution consisting of basic and module boxes. These can be mounted at any position and fitted with customer-specific components. 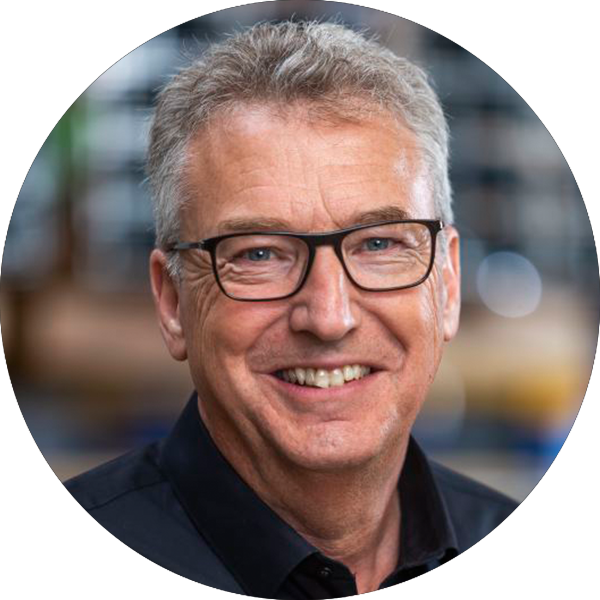 You can retrofit, add to or extend individual eepos components at any time – uncomplicatedly and without a great deal of time expenditure. You can plan any additional usage possibilities in advance, such as a telescopic crane boom. You can continue to use your own components such as hoists, as we work with item-compatible grooves. 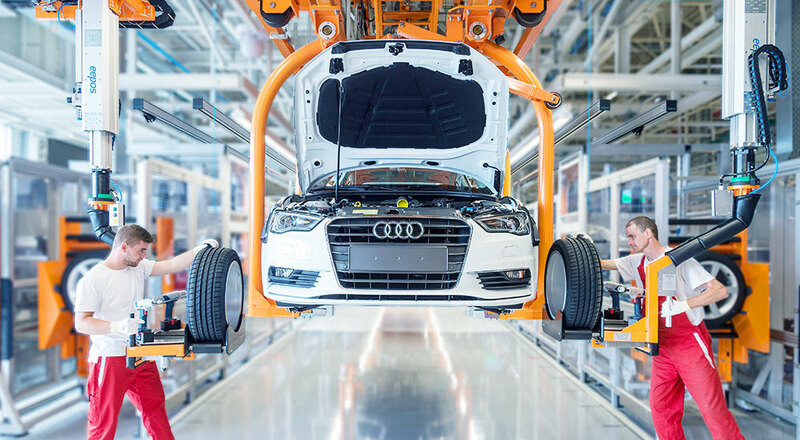 You can easily adapt an existing eepos system after changing the structural conditions (e.g. new building), supplement it if necessary and continue to use it.